« Can You Heal Your Thyroid Naturally? How delicious does that look? I need to make another loaf right now! One of my favorite things in life is a slice of bread, hot from the oven, slathered with butter. A close second is the smell of fresh baked bread. You too? I don't know many people who don't love fresh baked bread. I know quite a few that can't have “regular” bread any longer, like me. Yes, fulfilling that desire becomes a bit of a challenge when you don't eat grains and starches, but thank goodness I've learned how to work with coconut flour [affiliate link] because I can enjoy homemade bread again. This delicious lightly sweetened loaf hits the spot with just the perfect amount of cinnamon [affiliate link]. This bread is wonderful slathered with butter, nut better and fruit preserves, or best yet a mixture of butter, honey [affiliate link] and cinnamon. Preheat oven to 325°F. Be sure oven is preheated to the correct temperature before placing the loaf in the oven. Grease a loaf pan* and line with parchment paper for complete ease in removal of loaf when done. If you are making your own applesauce, peel and core one apple, I used a Red Delicious. Dice into small pieces and place in a small saucepan with 1 tablespoon coconut oil and 1/4 cup water. Bring to a boil and simmer for five minutes. Turn off heat and allow to sit covered for ten minutes. The apples should be very soft. Mash with a fork or potato masher. Measure out 1/2 cup for the recipe. Measure out 2 tablespoons honey and place in a small bowl with 1 teaspoon cinnamon. Mix well. Set aside. Place eggs, honey, sea salt, vanilla, 1/2 teaspoon cinnamon and applesauce into a mixing bowl. If you didn't make your own applesauce, add in one tablespoon melted coconut oil. With an electric mixer, mix at low speed until all ingredients are fully incorporated. Begin by adding half of the coconut flour into the ingredients. Blend until well mixed and allow to sit for 2 minutes. Add remaining coconut flour to achieve a thick batter. It's better to add flour in small amounts until you find the correct texture than to compensate by adding more liquids and fats. The batter for this loaf will be soft and fluffy in texture. Remove 1/2 cup of batter from the bowl and mix in with the honey and cinnamon mixture. Set aside. To the remaining batter, add baking soda and mix quickly and completely. Place one cup of batter into the loaf pan and spread out evenly using a spoon or spatula spreader. Spoon half of the cinnamon/honey mixture over the batter. Pour the remaining batter over the top of the cinnamon mixture and spread evenly to the sides. Pour the remainder of the cinnamon mixture on top and swirl with a knife. Place immediately into a preheated oven. Bake 45 minutes. Loaf will look nicely brown on top, firm on the sides but may be still slightly squishy at the center. If so, lightly cover with a tent of aluminum foil and bake 10 more minutes. At this point if the top still feels slightly squishy, turn off the oven and leave the loaf for 5 or 10 more minutes. This will usually allow the loaf to finish baking fully. This post was included at Gluten Free Easily's Wednesday Hop on May 21, 2014. Slightly sweet with just a hint of cinnamon. Delicious with nut better and fruit preserves, slathered with butter or best yet a mixture of butter, honey and cinnamon. If you are making your own applesauce, peel and core one apple, I used a Red Delicious. Dice into small pieces and place in a small saucepan with 1 tablespoon coconut oil and ¼ cup water. Bring to a boil and simmer for five minutes. Turn off heat and allow to sit covered for ten minutes. The apples should be very soft. Mash with a fork or potato masher. Measure out ½ cup for the recipe. Place eggs, honey, sea salt, vanilla, ½ teaspoon cinnamon and applesauce into a mixing bowl. If you didn't make your own applesauce, add in one tablespoon melted coconut oil. With an electric mixer, mix at low speed until all ingredients are fully incorporated. Remove ½ cup of batter from the bowl and mix in with the honey and cinnamon mixture. Set aside. 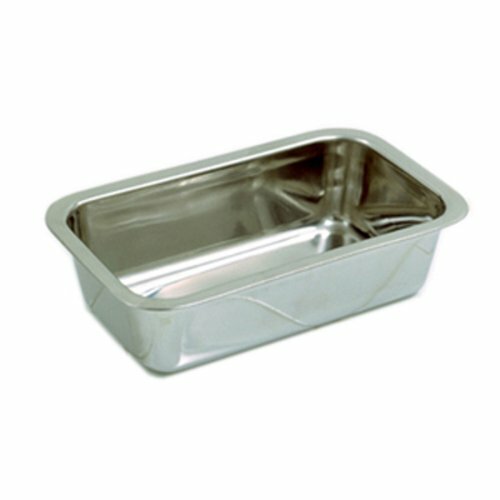 *The loaf pan I used was metal and measured 8.5" x 4.5" x 2.5. Categories: Breads, GAPS Diet Recipes | 6 comments - be the next! YUM! This looks SO good!!! Great recipe! Thanks Jessica! It really hit the spot! Thanks Shirley, thanks for hosting the event! Question about sifting/measuring. My coconut flour has a lot of big lumps. Should I try to break up the big lumps before I pack it into the measuring cup, or should I sift it first and then pack it in? I’ve made a few coconut flour recipes that didn’t turn out great and I’m thinking my measurements may be off.